When we left Horace and Chloe at the end of The Box and the Dragonfly (see review here), they had emerged battered but victorious from their encounter with Dr Jericho and the other Mordin. Horace had also discovered that his mother understood far more about this new world of Keepers and Tan'ji than he could ever have imagined. Book 2 continues the story of Horace and Chloe, and their respective Tan'ji, but adds new characters and further depth to what is an enthralling series. Miles away from the Keepers headquarters at the Warren, a young girl called April has found a delicate piece of jewellery at a flea market. Crafted in the shape of a curling vine, it fits around her ear as if it were made for her. A piece has clearly broken off, but April is still captivated by it and wears it constantly. What she didn't anticipate was her newfound ability to understand the thoughts and feelings of all the animals around her — from her dog Baron to the smallest ant. Isabel is a Tuner. She can shape the strands of the Medium, the energy field that powers all Tanu. She's not the only Tuner, but she's the only one who can control the harp known as Miradel. Although at times it seems as if Miradel might be controlling Isabel. And then there are the Auditors. Part of the Riven, they have the ability to invade a Keeper's mind while they are using their Tan'ji and draw on its abilities for their own use. Terrifying, potentially deadly, they are every Keeper's worst nightmare. 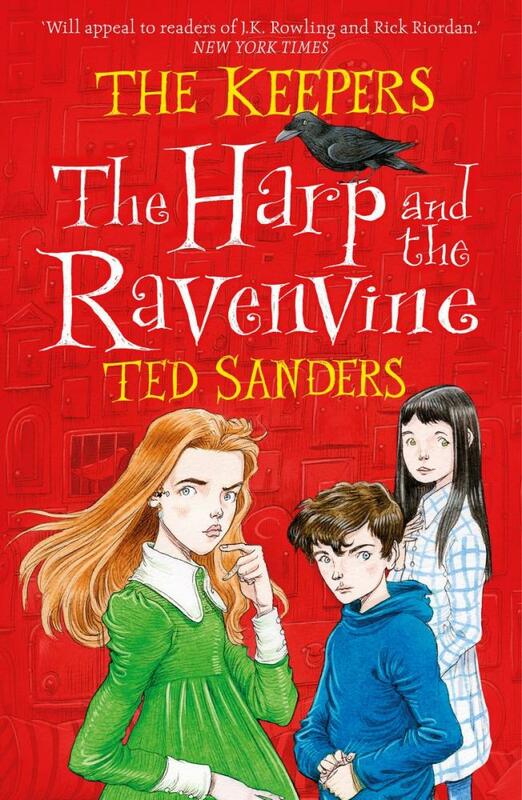 When April finds herself drawn to the Warren together with Isabel, a young boy called Joshua, and Arthur the raven, it's up to Chloe, Horace and the other Keepers to determine whether their intentions are good or evil, at the same time as they try to survive new attacks from the Riven. I have to say that this is not a book you could just 'pick up' without having read the first book in the series. Ted Sanders has created a richly layered world that is completely engrossing, but it's one that requires familiarity with the background introduced in The Box and the Dragonfly. Like its predecessor, this is a thick book — over 600 pages — so it could prove a little challenging for younger members of its middle fiction target market, and might require a parent alongside offering help and encouragement. 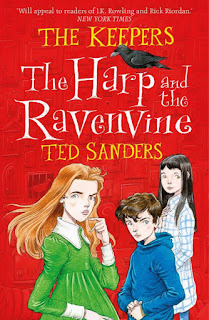 Those comments aside, The Harp and the Ravenvine is a fantastic read that I highly recommend. It's wonderfully original, brilliantly written, and packed with adventure from the first page to the last.